Are you interested in updating your real estate website but don’t know where to start? Website design styles are constantly evolving, especially in the fast-moving world of real estate marketing. The same real estate web design that attracted clients with its cutting-edge appearance and performance only a few short years ago may appear hopelessly outdated to your clients today. Many older real estate websites are unable to perform well on modern smartphones and mobile devices, which can cause potential clients to seek out other firms to meet their needs. To help you create the modern, high performing website you need to attract real estate clients now and in the future, we’ve identified the 10 best web design trends for real estate success. Incorporate them in your updated website and get ready to watch your website’s effectiveness soar! The majority of property searches are now performed using smartphones and mobile devices; switching to a responsive real estate web design ensures your website will perform perfectly on every device. Navigation elements are easy to access with thumbs, fonts are readable without zooming, and pages fit in the viewing area without side to side scrolling. You’ll instantly grab visitors’ attention when you feature a brilliant, full-screen photo or video background on your homepage. Choose an image that evokes the feeling of home, add minimalist navigation and search elements, and you’ve got a distinctive look that builds your real estate brand from the first moment. Companies of all types have switched away from the drop shadowed, three-dimensional buttons and elements that dominated website design for so many years. Flat design elements have become the new standard, valued for the clean, simple look that they impart to sites. The latest real estate web trends favor a clean, bold look. Use hidden menus that hide navigation off-screen, showing just a 3-bar element until users interact with it. 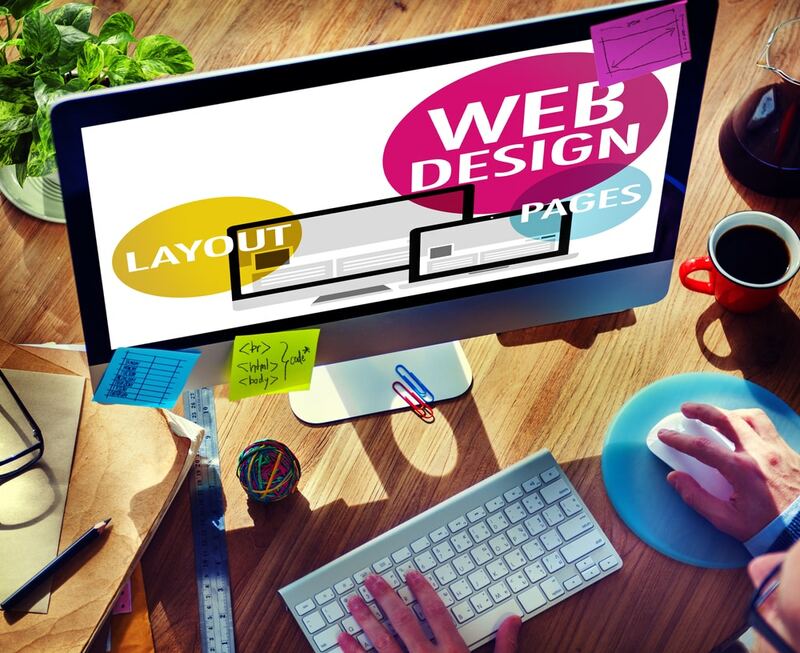 This web design strategy will keep your screen open and free of clutter. Website design standards have moved away from huge, many-paged websites where visitors have to continually hit navigation buttons and then wait for each page to load. Modern real estate websites feature long pages that visitors can just scroll down through to access content. Include sticky navigation menus that stay on screen as visitors scroll down your page for the ultimate user-friendly experience. Since the main reason real estate clients come to your site is to find properties, it makes no sense to make them hunt to find your search bar. Make it easy for visitors to find the property of their dreams by greeting them with a centrally located search bar above the fold on your home page. Search engine optimization is a necessary part of your real estate online marketing strategy, to ensure that clients can find your site. WordPress websites are designed to make it easy to enact real estate search engine optimization strategies, so you can effortlessly add keywords to your pages, images, etc. to keep your website at the top of search results. Blogging has emerged as one of the best ways for realtors to keep their customers engaged and interested; it also gives you a way to add the latest trending keywords to your website. If you don’t have time to author a real estate blog yourself, hiring a professional blog writer will give the same benefits without increasing your workload. Real estate customers now expect their agents to have a vibrant presence on social networks. Include social sharing buttons to link your real estate website to Facebook, Twitter, and your other social marketing strategies. Instead of using static photos to showcase a property or neighborhood, use videos. You can use videos throughout your website, for everything from property walk-throughs to neighborhood tours. Videos generate more interest than photos, and help create a dynamic website that engages visitors’ interest. When you’re ready to update your real estate website, you can count on For Sale Marketing to help. Our talented WordPress web designers will create an effective, responsive real estate website design that incorporates the latest design trends and features. We can provide you with comprehensive real estate online marketing services, including real estate blogging services, professional storyboarding and videography services, and more to ensure your agency’s success. Contact us at For Sale Marketing today at 954-779-2801 when you’re ready for an updated real estate web design that incorporates the latest trends and features to ensure your agency’s success!